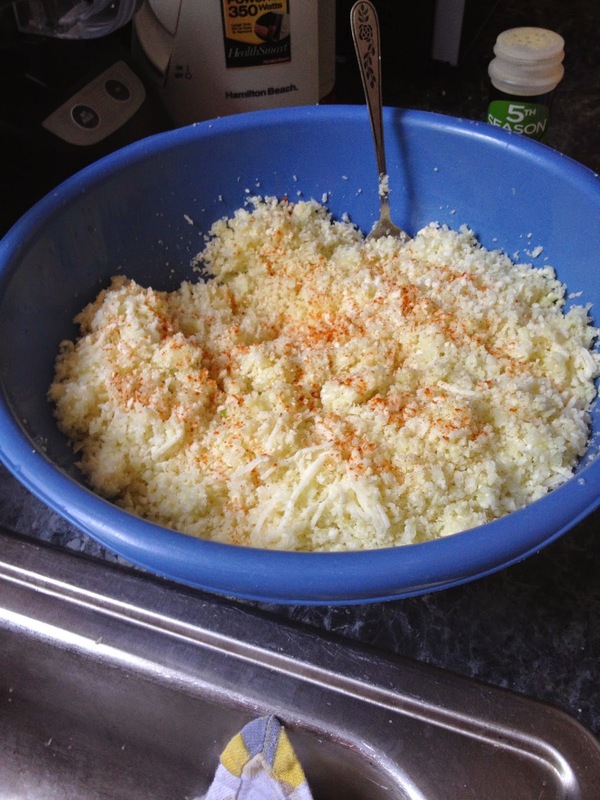 I was in the kitchen whipping up some cauliflower crust pizza and decided to snap some pictures of the process. 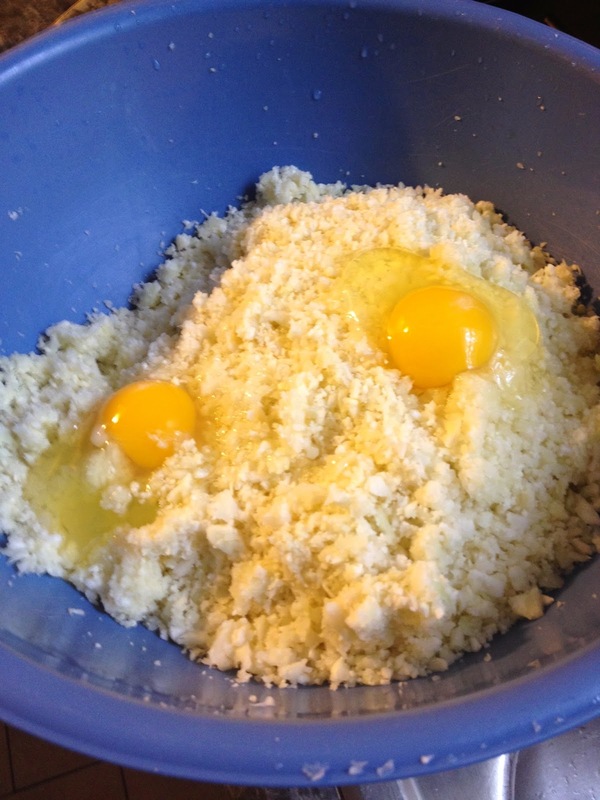 The first thing I did was roughly chop a medium sized head of cauliflower. 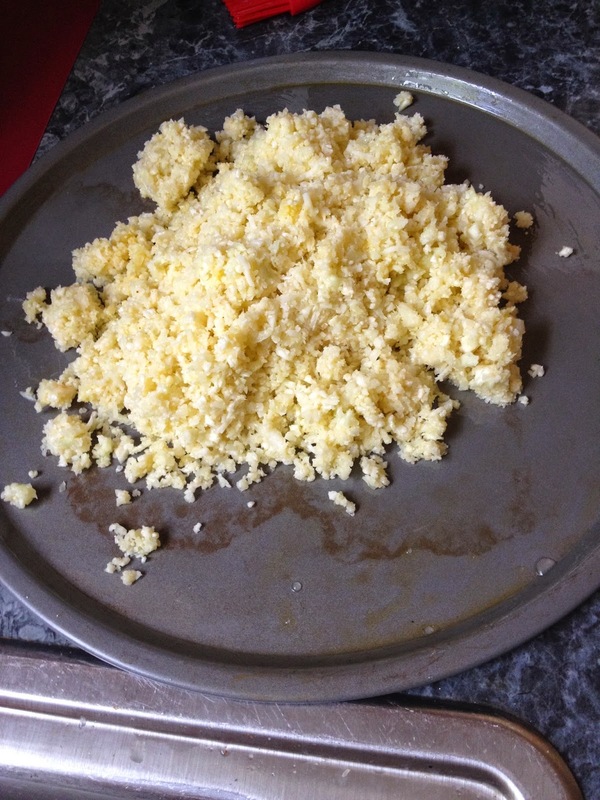 Next, I pulsed small batches of it in my food processor until it was fine and crumbly. The cauliflower will stick to your hands so this is the best tool to get it out of the food processor and into a large bowl. 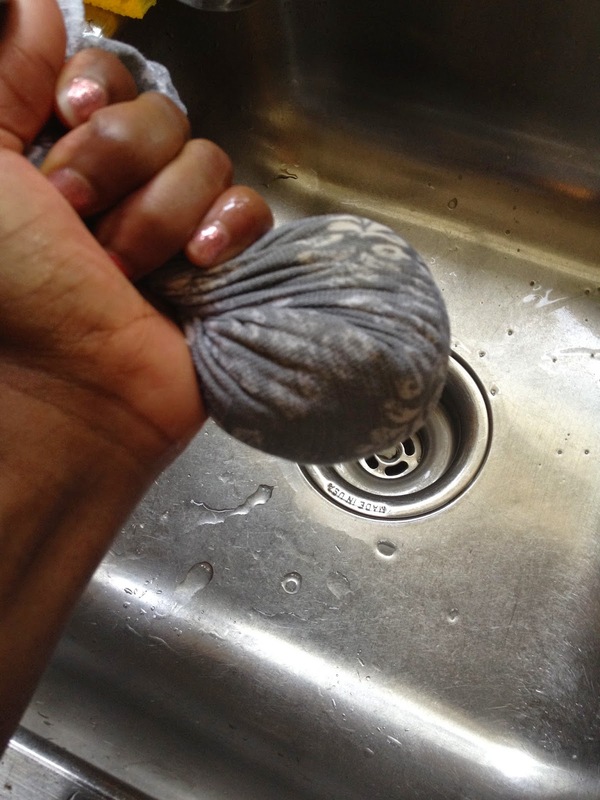 Next I cover my bowl with a clean kitchen towel and microwave the cauliflower on high for one minute. Now to let it cool. 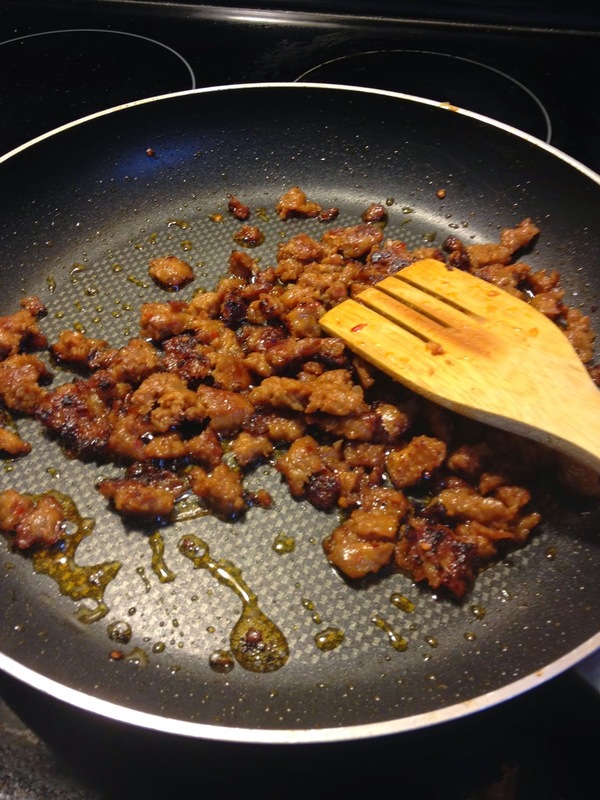 In the meantime, I begin cooking the Italian sausage for my husbands half. Once the sausage is done, the cauliflower should be cooled. 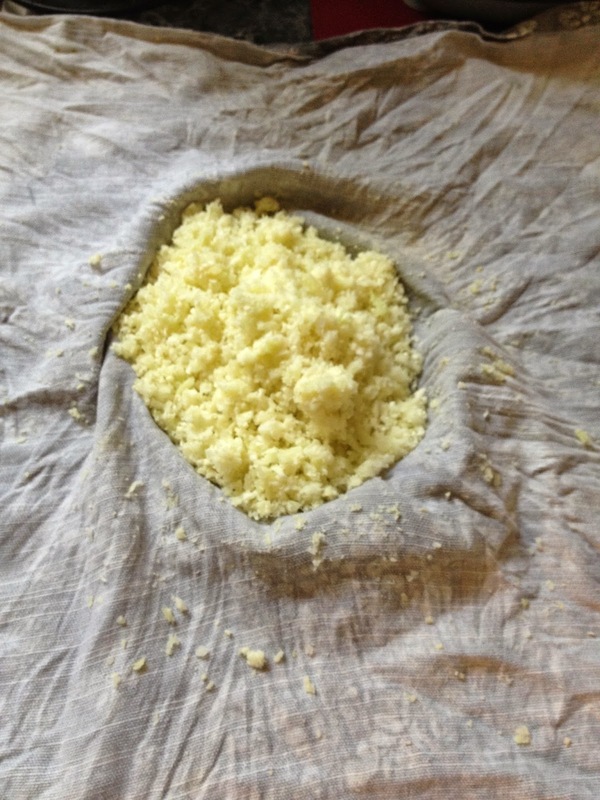 Using a kitchen towel or cheesecloth begin squeezing the liquid from the cauliflower a little bit at a time. 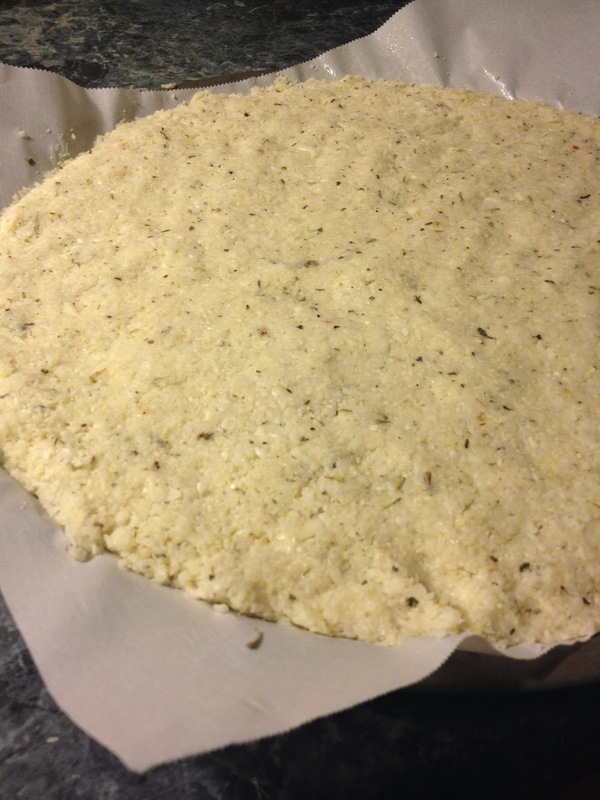 Once all of your cauliflower is squeezed as dry as possible, it’s time to start creating the cauliflower pizza dough. Add all of those ingredients to the bowl, and using the rubber spatula I told you about, begin mixing everything together. Next, line your pizza pan with parchment paper, then use your rubber spatula to scrap everything from the bowl onto the paper. 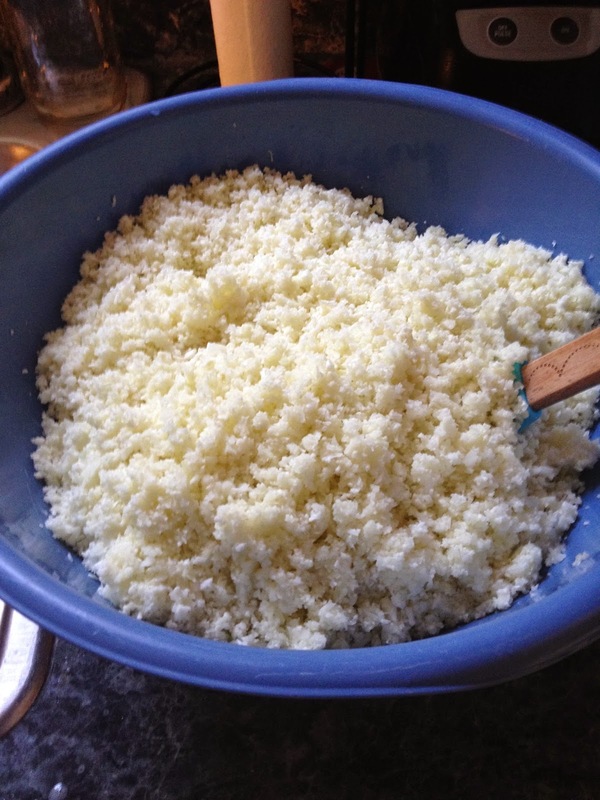 Using your rubber spatula or your hands, begin pressing and forming the cauliflower mixture to the circumference of the pan. Take it out and add your desired topping and bake at 350 degrees for 10 minutes. 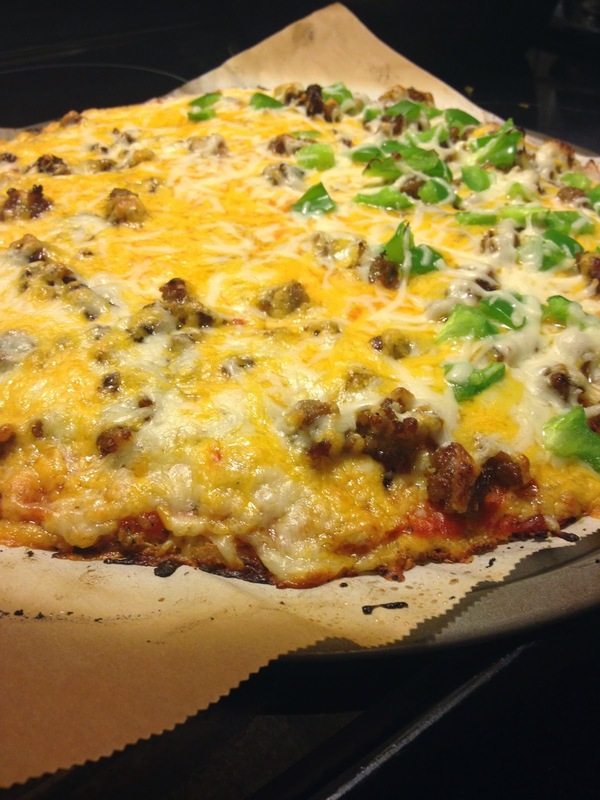 This pizza is absolutely delicious and way better for your waistline than traditional pizza with a flour crust. Ohmylord this looks AMAZING! When are you coming to make it for me??? Pinning! 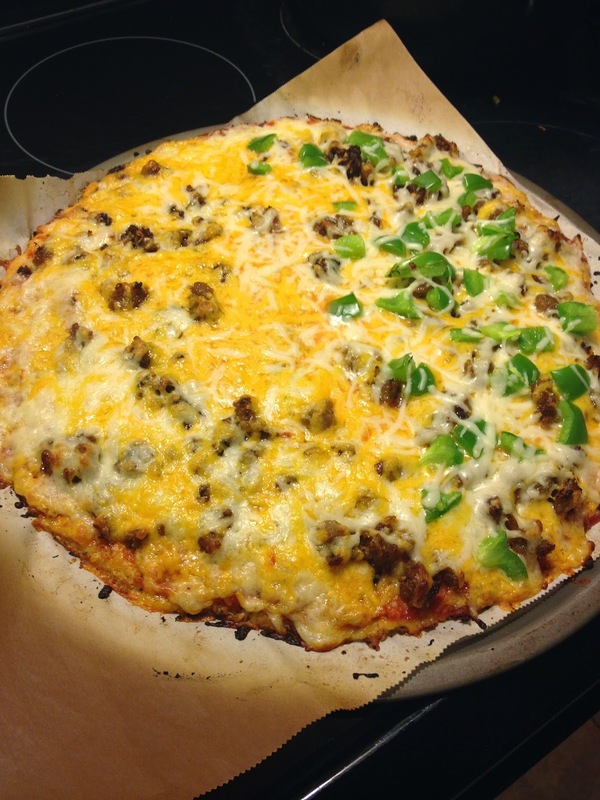 I have heard of but never tried cauliflower pizza crust. I wonder who came up with it? To me, it seems like it would have a very pungent flavor. Next Post **HOT DEAL** Downy Fabric Softener, Nivea Lotion, Level Life Bars ONLY $0.98 EACH! !